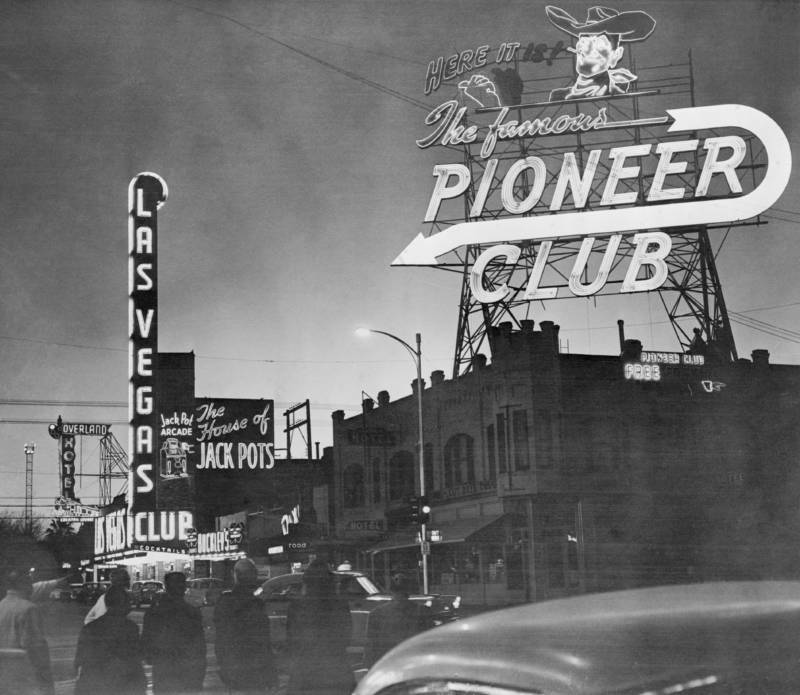 A group of gamblers stand on Fremont Street in Las Vegas watch the early morning sky illuminate from an atomic blast, which was detonated at a test site some 75 miles away. May 1955. Guests at the Last Frontier hotel in Las Vegas watch the mushroom from a detonation about 75 miles away. 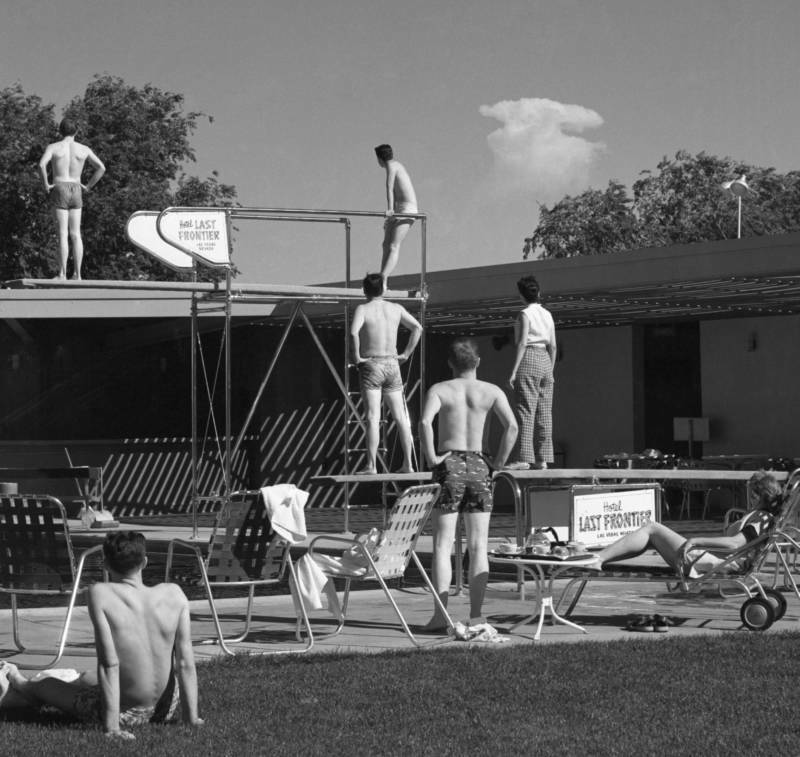 May 8, 1953. 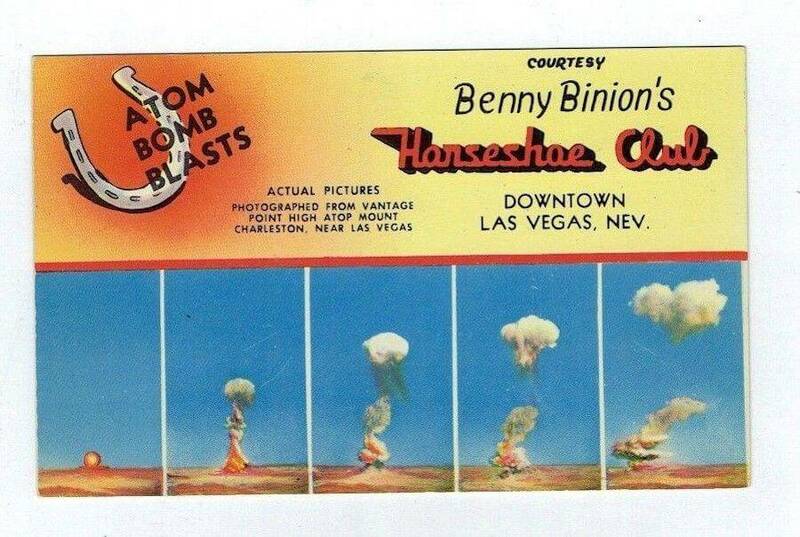 A Horseshoe Club advertisement touting its excellent views of nuclear tests. 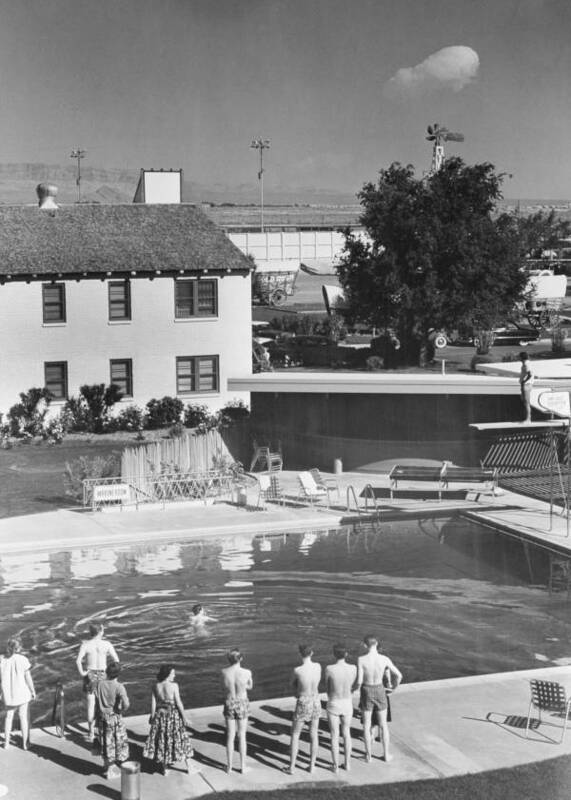 Early morning bathers at a hotel pool in Las Vegas stop to watch the mushroom cloud of an atomic detonation at a test site about 75 miles from the city. May 8, 1953.